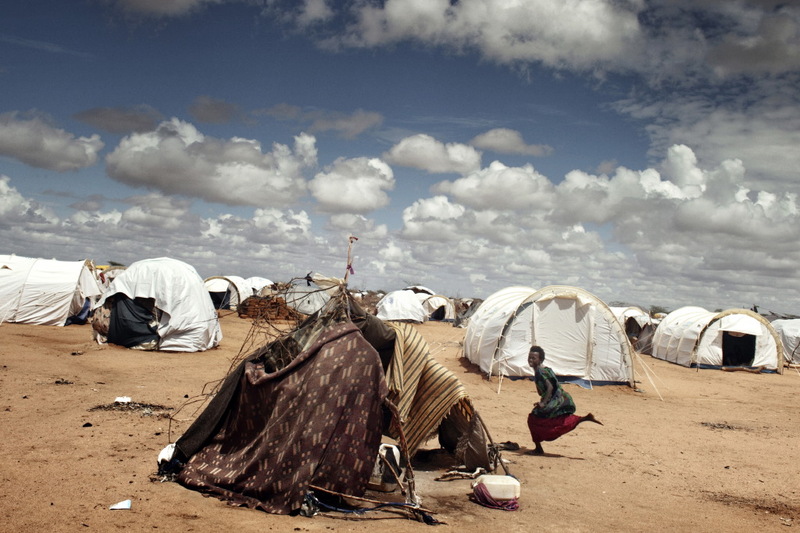 The Dadaab refugee camp in Kenya, has become the world’s largest, hosting some 420,000 Somalis fleeing drought and war. 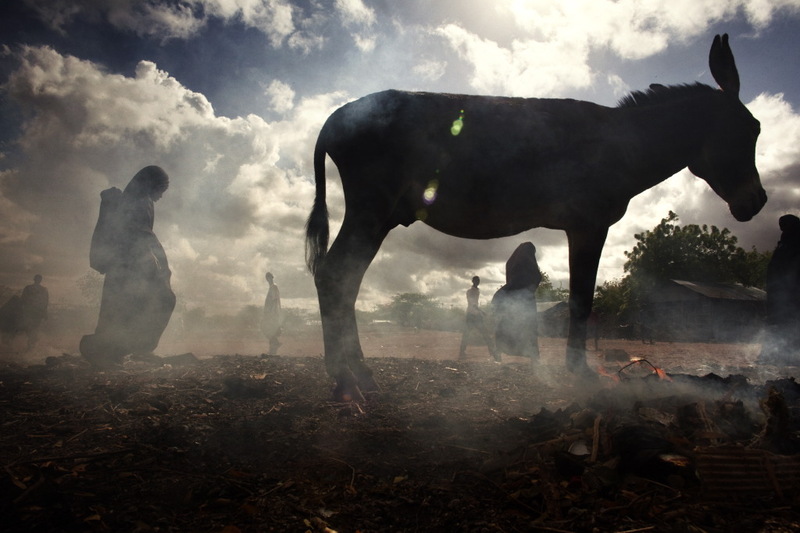 Somalia is the country in the Horn of Africa most threatened by famine. A twenty-year war and the worse drought of the last sixty years determined the most severe humanitarian disaster taking place in the world. 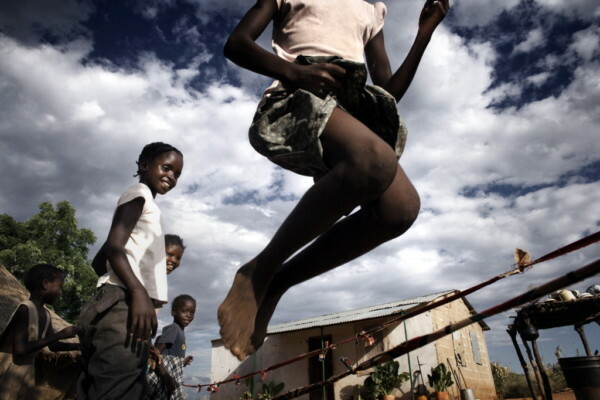 Nearly 2.85 million people urgently need humanitarian aid. Thousands of Somalis are heading to the Dadaab refugee camp, located in the North of Kenya, a few kilometres from the border with Somalia. 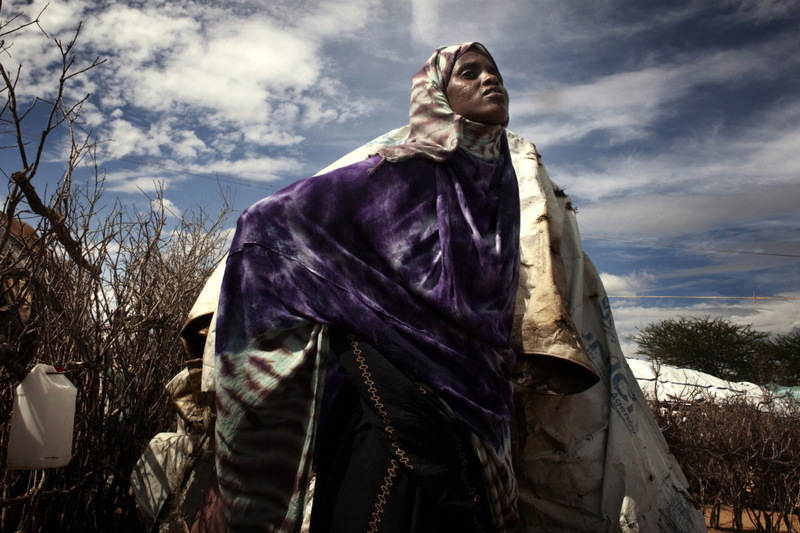 Hope is buried there, in the unraveling of shanties kept together by the desperation of those who try to escape the famine that hit millions of people in the Horn of Africa. However, the arrival to Dadaab is not a guarantee of survival, especially for children that are malnourished, unhealthy and vulnerable. 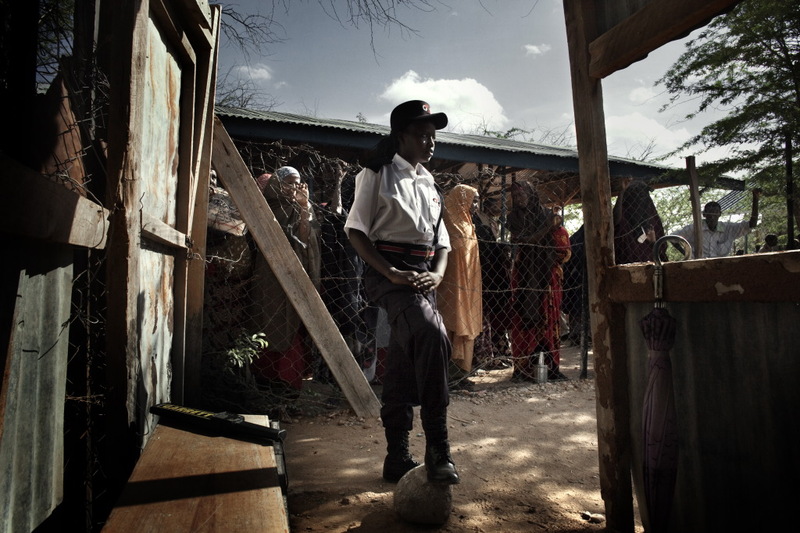 In the refugee camps of Dadaab, on average 5 children die every day in this period of emergency. 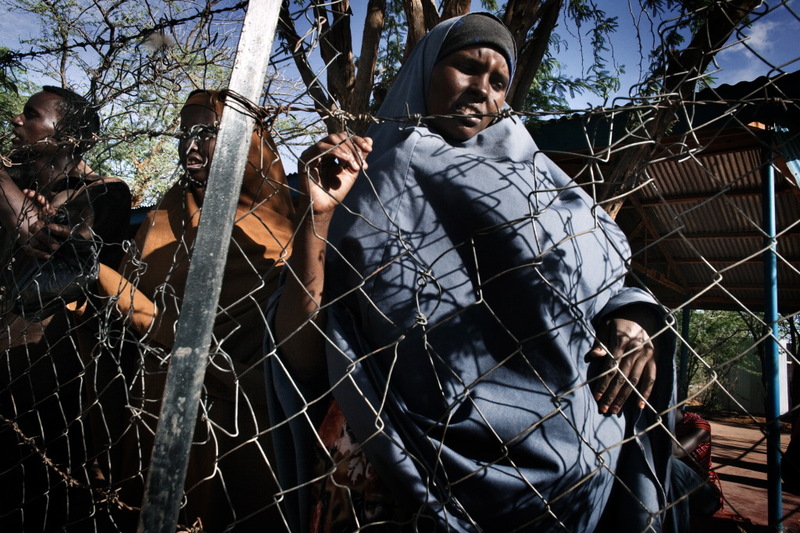 There is then the problem of registration of refugees; as from January about 1.700 refugees reach the Dadaab camp every day, but the United Nations High Commissioner for Refugees is able to register maximum 700 of them each day, with waiting times of even one month. Not being registered means not receiving any food, not to avail oneself of healthcare facilities, not to have a place to lay the bases for a new life. 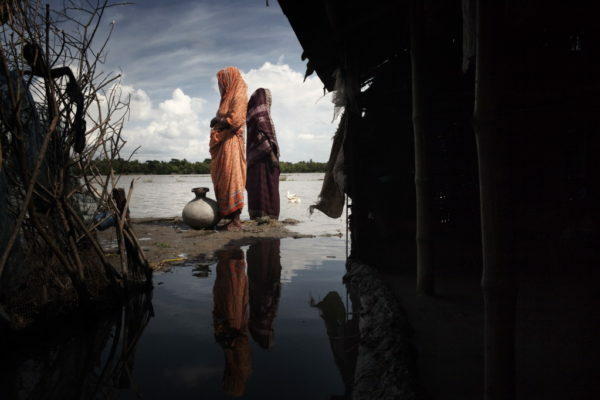 Global warming, the increase in drought and the subsequent desertification represent a decisive factor for the migration of millions of eco-refugees all over the world. 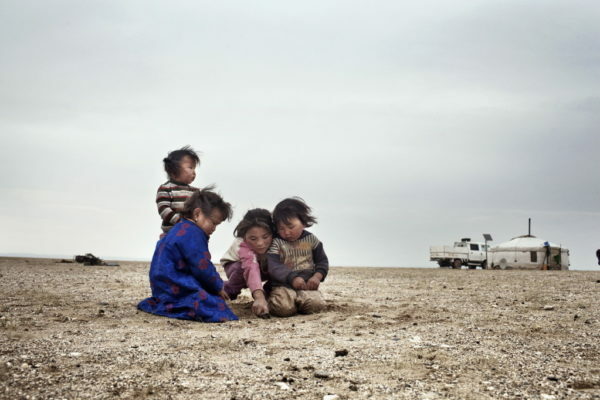 According to “The Environment and Human Security”, environmental refugees amount to nearly 50 millions, and this number might increase to 150 millions in 2050. 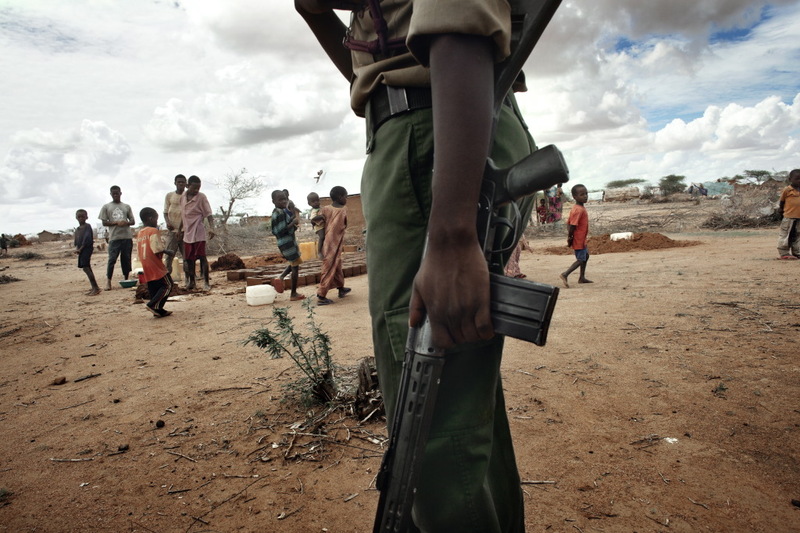 Once at the Dadaab camp, the refugees are photographed for identification purposes by two humanitarian officers. A long silent queue, nobody smiles, no one speaks to anyone else, no one pushes ahead. 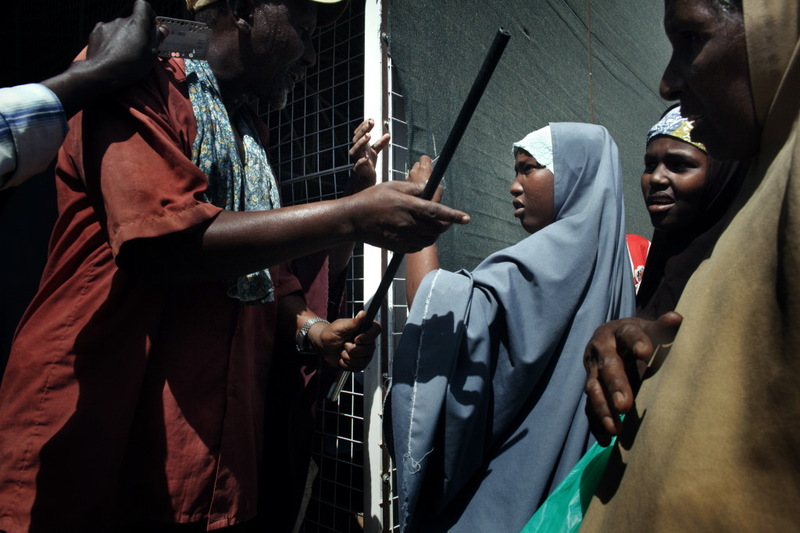 Every day a thousand of new Somali people cross the border into Kenya in order to queue in front of the UNHCR Registration site. 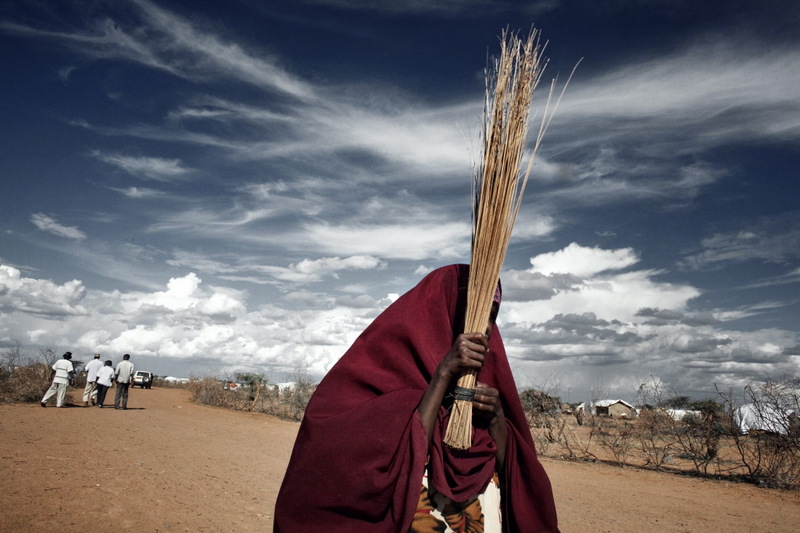 Fleeing, drought, war and famine means marching for hours in the suffocating African heat. Identification is the first vital step to aid. These portraits were taken by Luca Catalano Gonzaga during their formal photographing session. 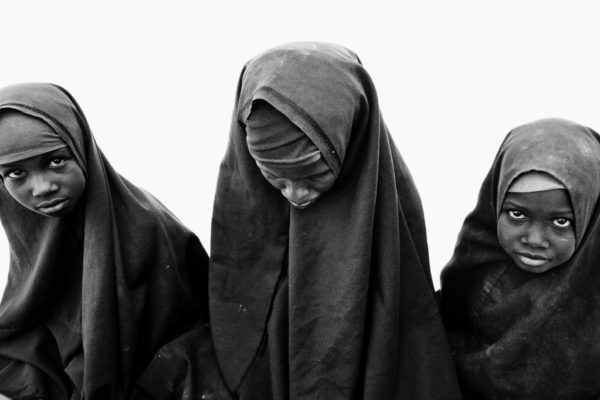 Embarrassment, shame, surprise and the tears all speak of both the fear and hope of forgotten humanity. (text by Luca Catalano Gonzaga). Dadaab Refugee Camp, Kenya. Two women inside the food distribution centre at “Ifo refugee camp”. 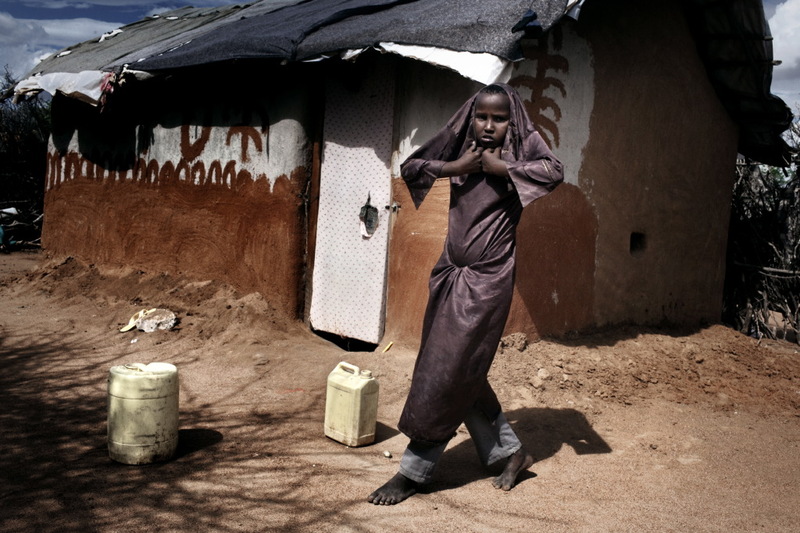 Drought and desertification caused by global warming, moved thousands of Somali refugees across the desert to reach Daadab Camp on the border with Kenya. They will have to wait a month before being admitted and registered in the Camp where they will receive care and food. Dadaab Refugee Camp, Kenya. Migrants waiting to be admitted at UNHCR registration point at Ifo camp. Dadaab Refugee Camp, Kenya. 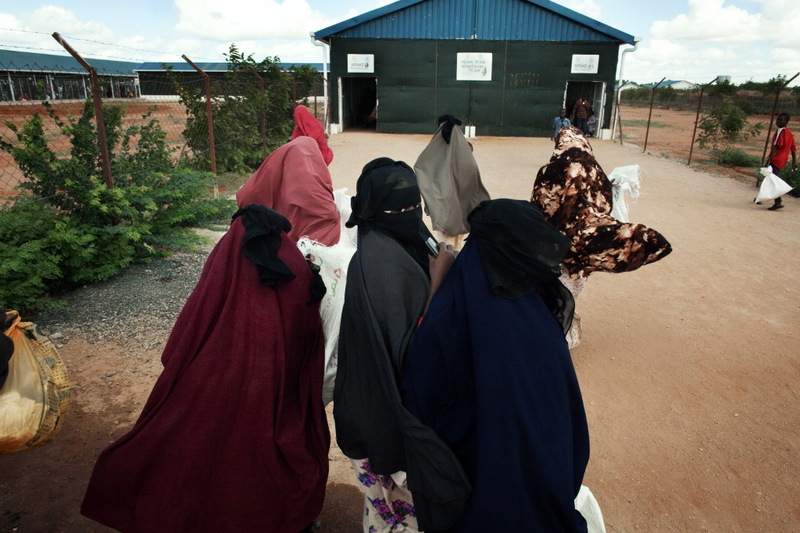 Women with the passes that allow them to collect food from the distribution point at Ifo, one of the three refugee camps at Dadaab. Dadaab Refugee Camp, Kenya. The UNHCR registration point at the Ifo refugee camp. 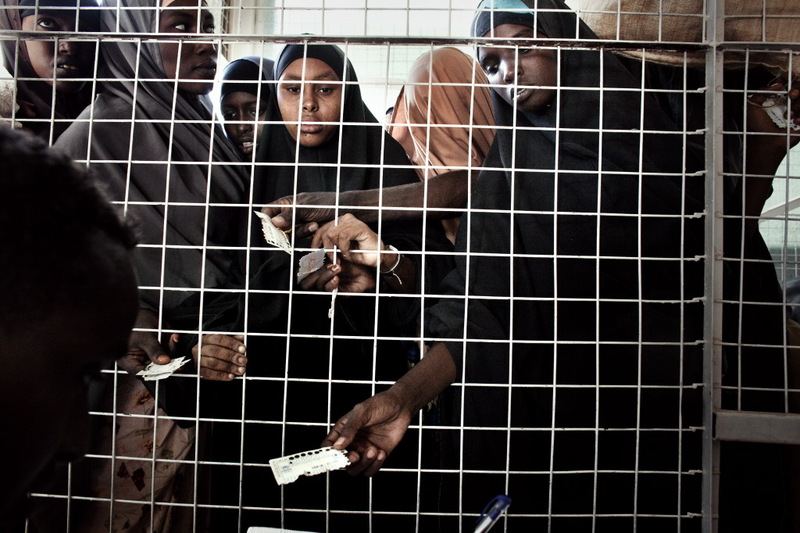 In this area designated for the UN, every single refugee is photographed and fingerprinted. The UNHCR registration point is a miraculous goal: it finally means tents, lavatories, drinking water, health care facilities and food passes. Dadaab Refugee Camp, Kenya. Control of the flow of migrants waiting to be registered at the UNHCR registration point. Dadaab Refugee Camp, Kenya. Refugess while they go towards the distribution centre operated by the World Food Program. Dadaab Refugee Camp, Kenya. 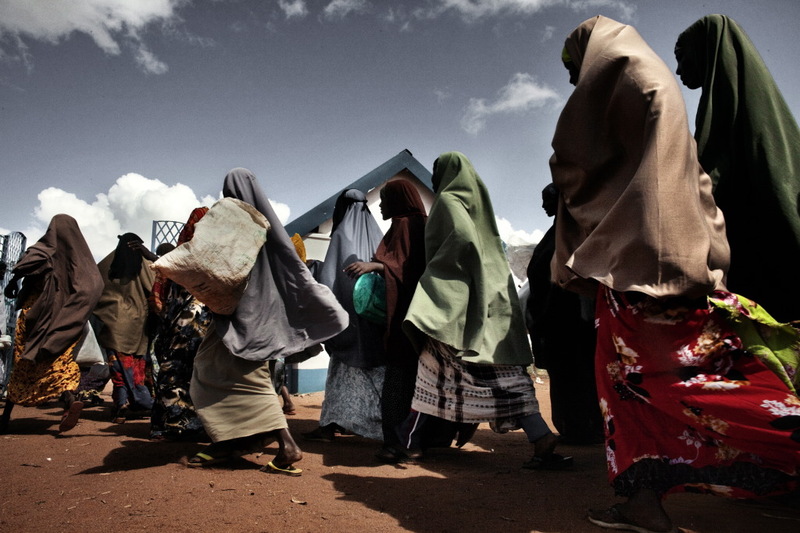 Some female refugees as they walk toward the food distribution which takes place twice a month. 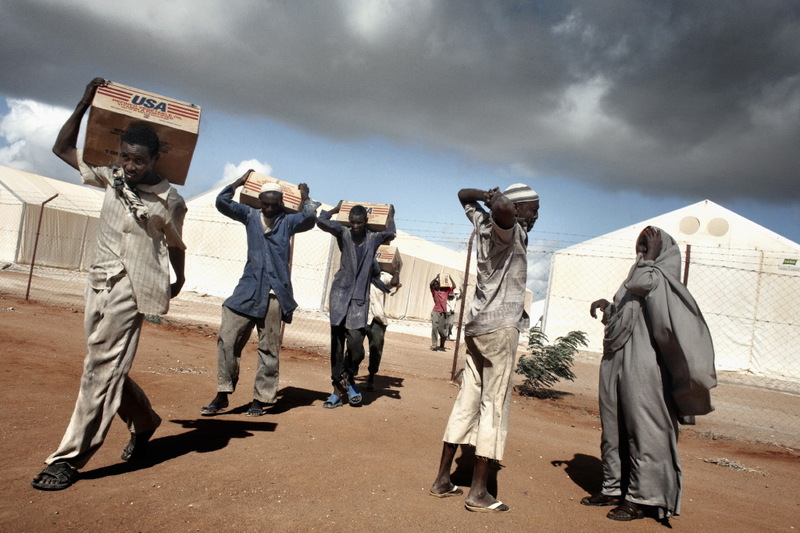 Dadaab Refugee Camp, Kenya. Moments of tension during food distribution. Dadaab Refugee Camp, Kenya. Women are separated from men and put in a queue waiting to receive food. 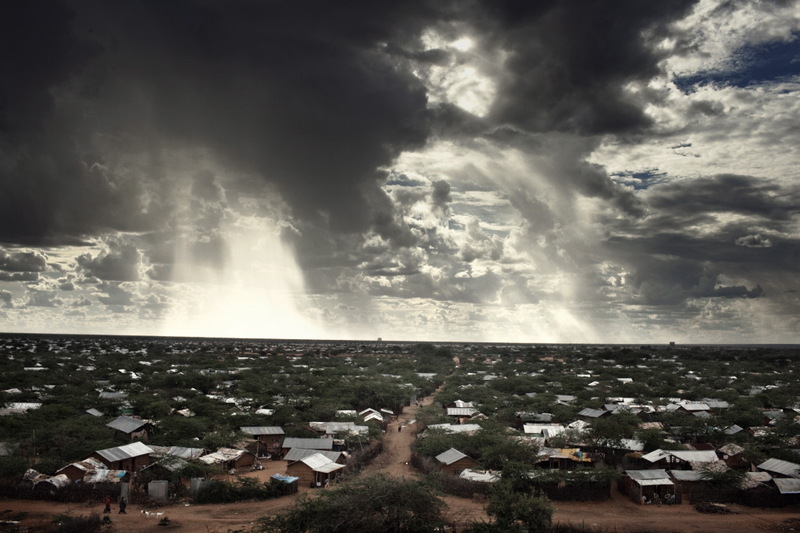 Dadaab Refugee Camp, Kenya. 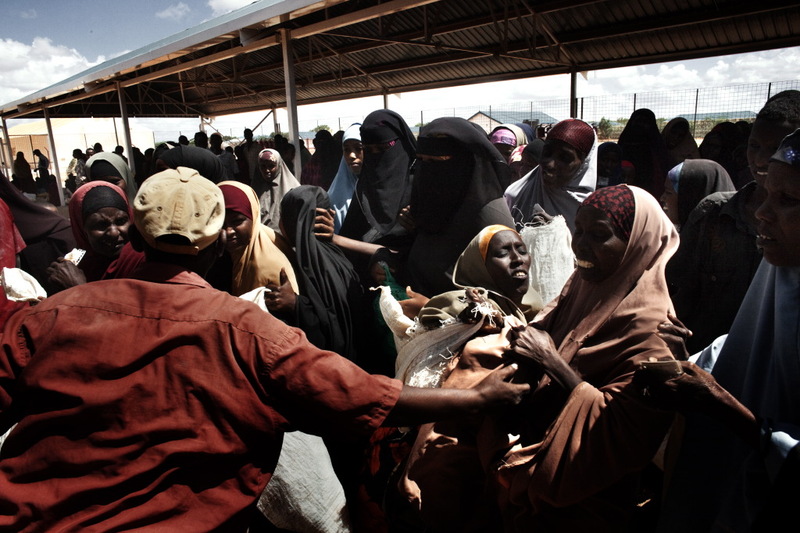 Moments of tension for the distribution of food inside the Dadaab refugee camp. 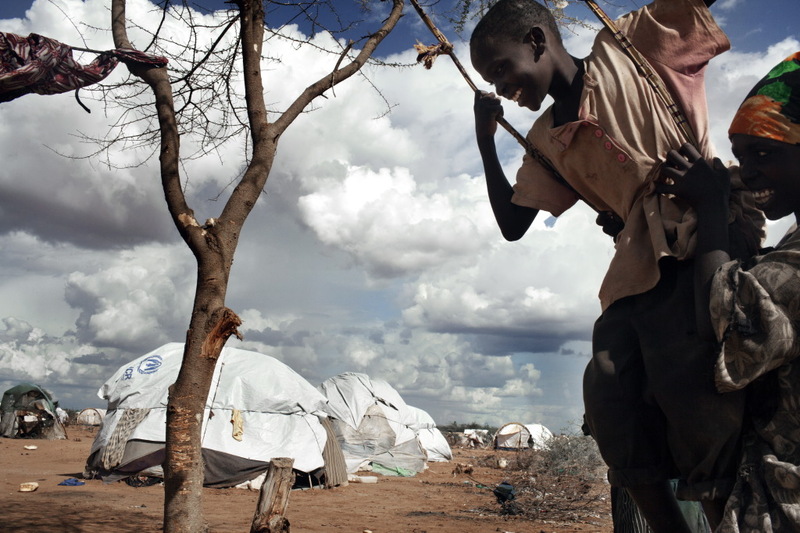 Dadaab Refugee Camp, Kenya. 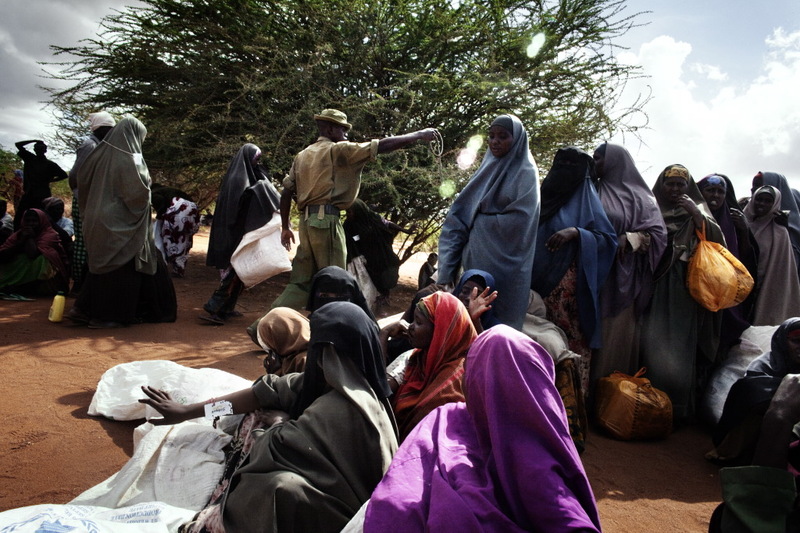 People carrying food aid in an Ifo camp. Dadaab Refugee Camp, Kenya. 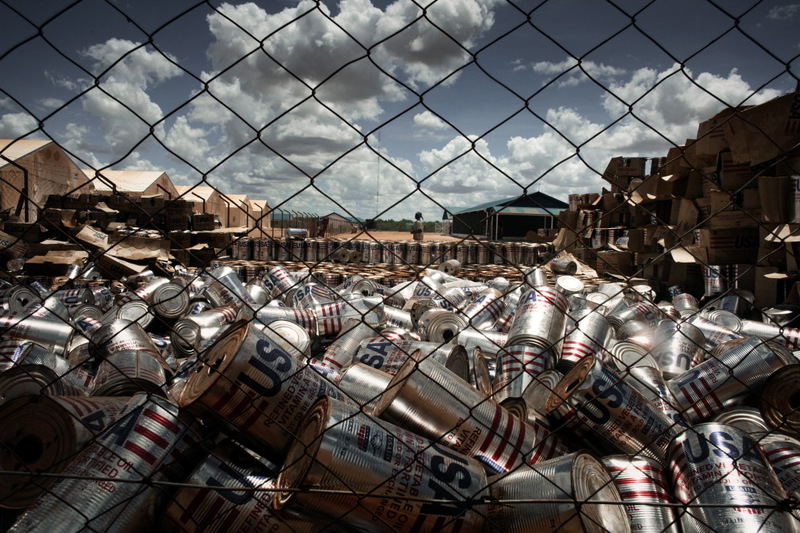 Frying oil cans inside the area destined to food distribution for the refugees. 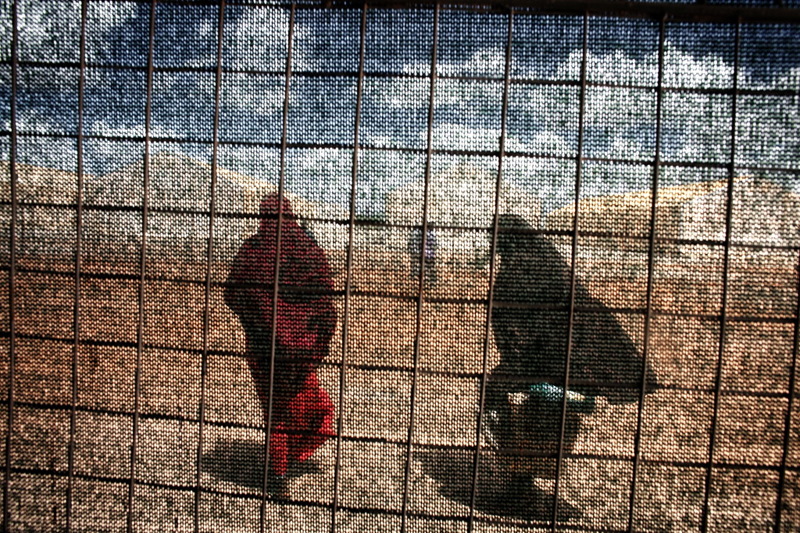 Dadaab Refugee Camp, Kenya. A man carrying food aid in an Ifo camp. Dadaab Refugee Camp, Kenya. Ifo camp view. 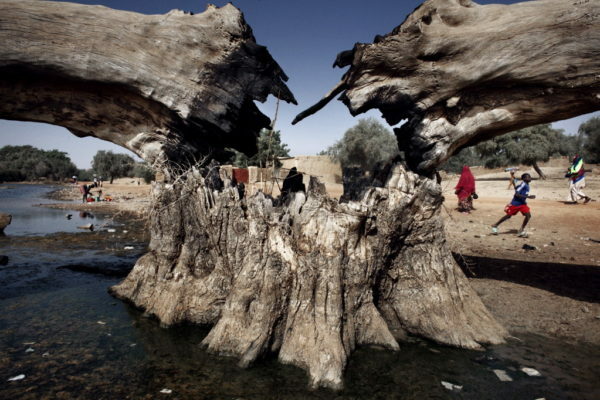 Global warming and the subsequent desertification represent a decisive factor for the migration of millions of eco-refugees all over the world. Dadaab Refugee Camp, Kenya. 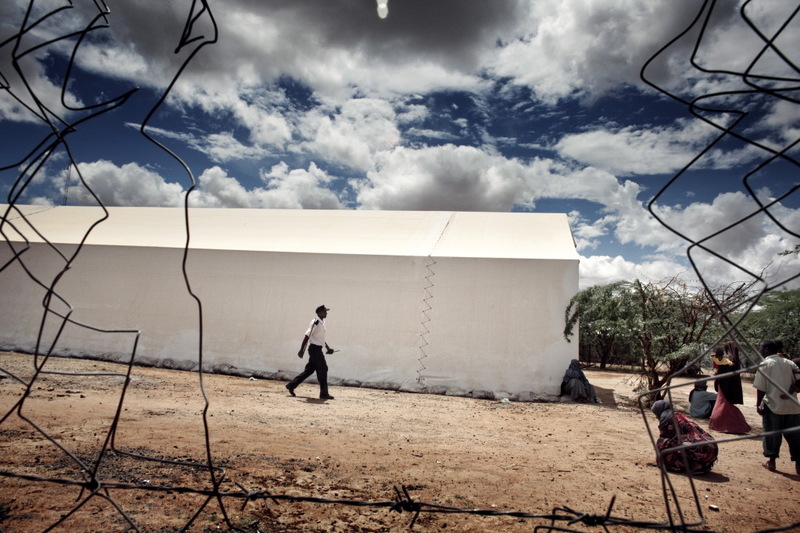 Inside the refugee camp of Hagadera. Dadaab Refugee Camp, Kenya. 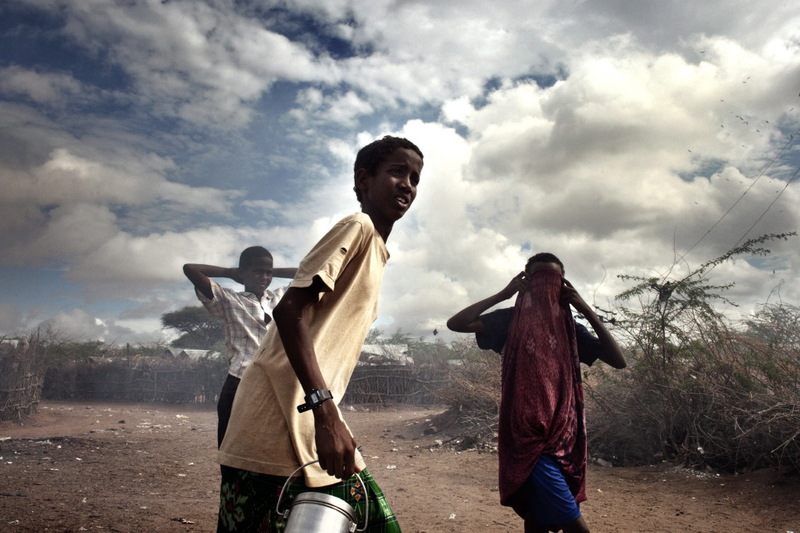 Boys looking for water in the Hagadera refugee camp. Dadaab Refugee Camp, Kenya. 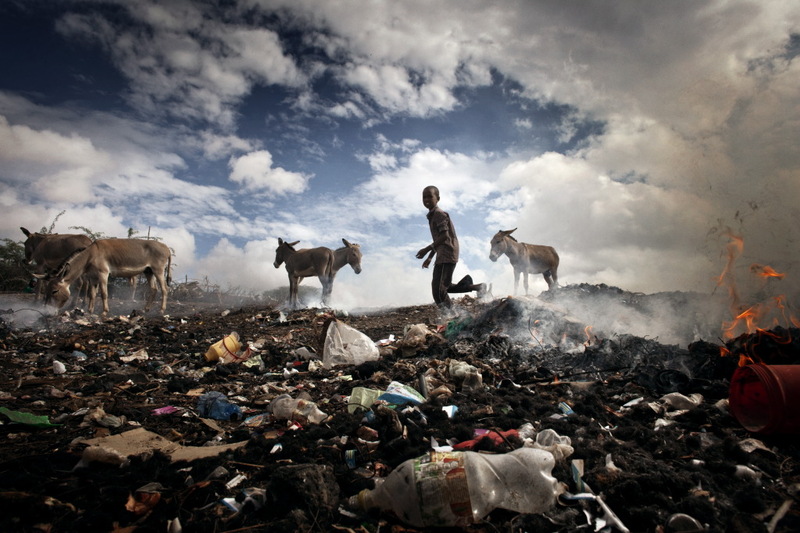 A boy in the midst of the trash in the refugee camp of Hagadera, one of the three camps in Dadaab. Dadaab Refugee Camp, Kenya. 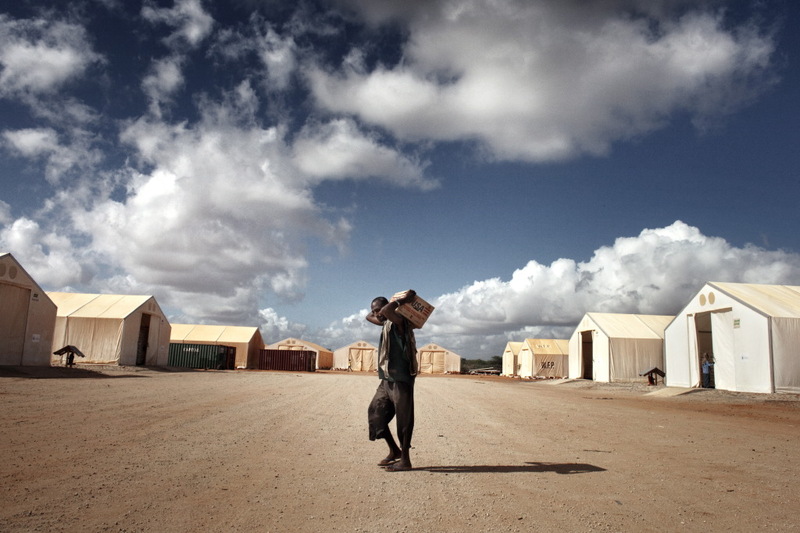 Refugee camp of Hagadera, one of the three camps in Dadaab. Dadaab Refugee Camp, Kenya. 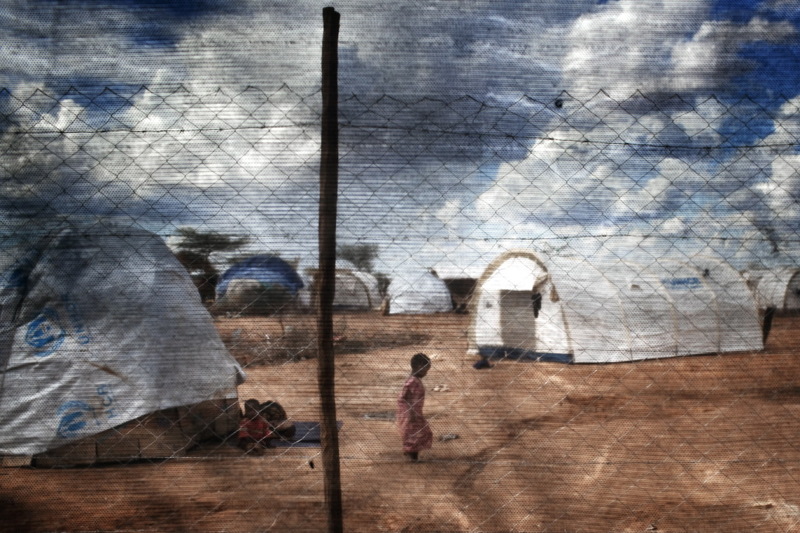 Refugee camp of Ifo, one of the three camps in Dadaab. Dadaab Refugee Camp, Kenya. 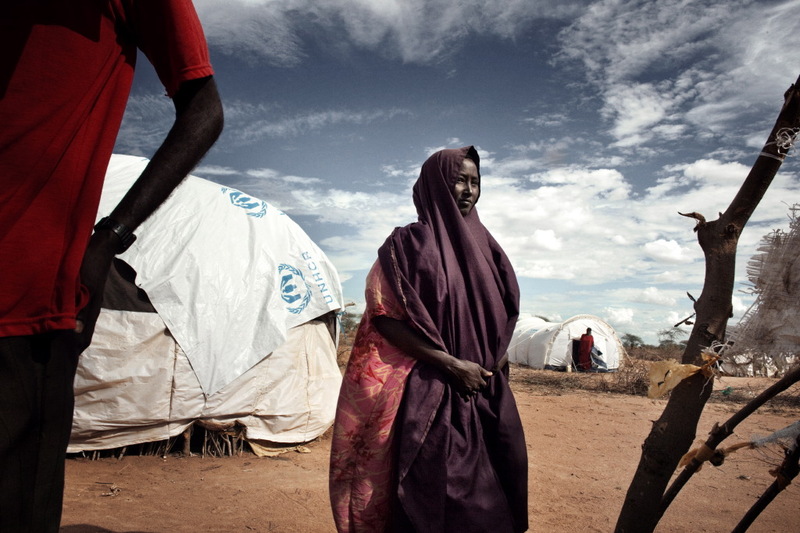 A woman at the Dagahaley refugee camp one of the three camps in Dadaab. Dadaab Refugee Camp, Kenya. Mother and daughter in a playful moment in the refugee camp of Ifo. Dadaab Refugee Camp, Kenya. 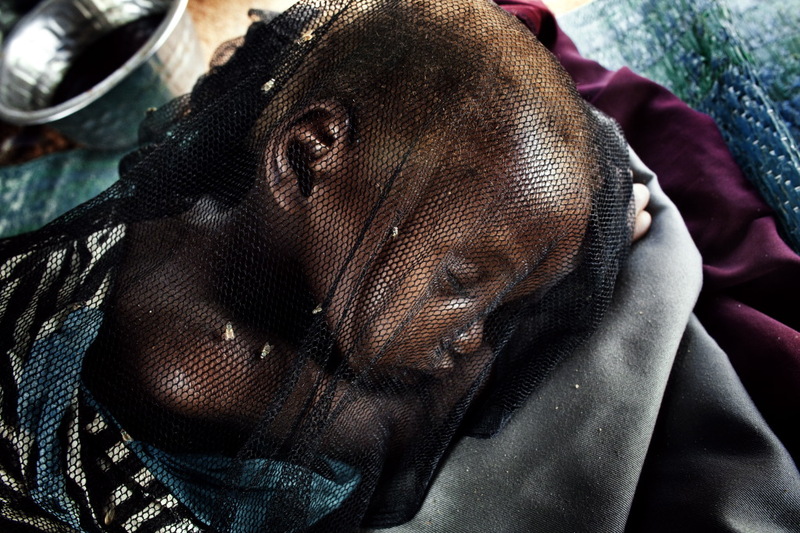 A child suffering from malaria inside the Ifo camp. Dadaab Refugee Camp, Kenya. Habiba Ali, 7 years old, inside her tent in Dagahaley refugee camp. Dadaab Refugee Camp, Kenya. 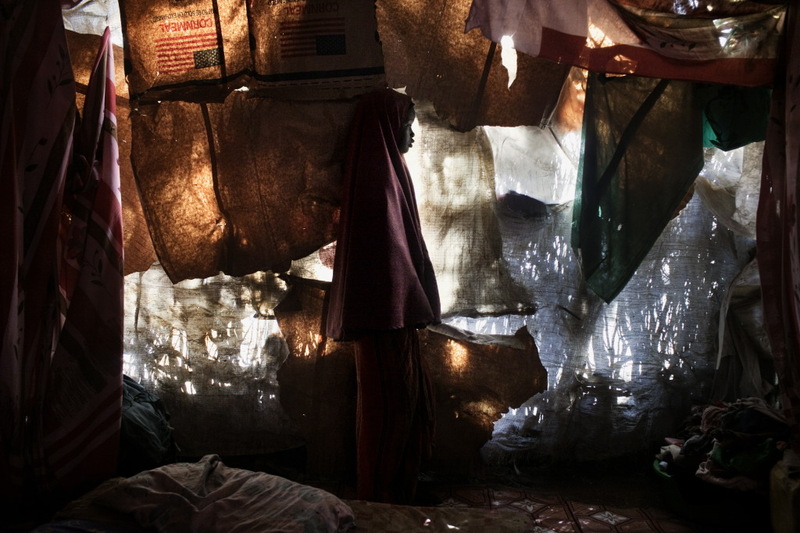 Refugee in her home in the refugee camp of Ifo. Dadaab Refugee Camp, Kenya. A young girl at the Daghaley refugee camp. Hundreds of fleeing Somalis, due to increase of the desertification, after crossing the border with Kenya and walking for additional 80 kilometres, queue every morning in front of the UNHCR Registration Point.